Along with his success on the course, Palmer will be remembered for the long-term impact of Arnold Palmer Design Company (APDC), the golf course architecture firm that was formed 50+ years ago. Palmer’s legacy in golf will include the men and women who worked with him, and at, APDC over the years. 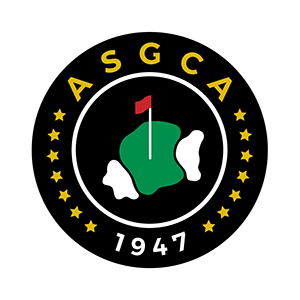 The list includes: ASGCA Past President Frank Duane; ASGCA Past President Ed Seay; ASGCA Past President Erik Larsen; Harrison Minchew, ASGCA; Vicki Martz, ASGCA Fellow; Bob Walker, ASGCA; and Thad Layton, ASGCA Associate. Palmer received the ASGCA Donald Ross Award in 1999. ASGCA’s highest honor, the Ross Award has been presented annually since 1976 to a person who has made a significant contribution to the game of golf and the profession of golf course architecture. Saddened to hear of Arnold Palmer’s passing. Arnold Palmer was golf. He created the modern era through his play, his passion, personality, business acumen and golf course architecture. Arnold Palmer was admired because he was the everyman, doing exactly what we would all love to be doing. King indeed. From the ASGCA family our heartfelt condolences to the entire Palmer family. I was privileged to work for the King of our beloved sport. He walked in a way that not many people did. We can learn from that in how we carry ourselves every day. He was a gentlemen. In fact, it isn’t fair to just talk about his contributions to golf and philanthropic endeavors. He was an American hero. I would have been proud to work with him for one day, let alone 28 years. Although a very sad day with Arnold’s passing I have enjoyed so much going through my mind the gush of Wonderful Arnold Palmer Memories. Being from Augusta and saying working for him was a thrill would be an understatement at best. He will always be the ultimate legend in golf but growing up in Augusta in the late 50’s, 60’s, and 70’s, on all but Sunday morning, Arnold Palmer was God! Although he had an incredible ability to play golf in a truly exciting way, his gift was the way he engaged people…his eye contact, a smile, and the unforgettable handshake all done with a sincerity that he truly was interested in you! Today was surreal in the gush of memories. So very special to reminisce so many of my shared experiences with Erik, Vicki and so many others. Those that worked with him all had the privilege of experiencing truly the person anyone would ever aspire to come close to being. I can truly say out of the public eye he was the Gem that everyone thought he was. Working with and for him will always be a cherished blessing! He will always be an American Hero, one that was all about having fun with those he was with, a true giver and whose compass was the Golden Rule. The world is a better place having had Arnold Palmer.